Through a blend of clear and frequent communication, combined with visions developed through the use of data analysis the company identifies and understands the requirement of the clients. It then emphasizes on applying the facts and experience to revolutionize and produce resourceful and productive results for the clients. Novi.digital recognizes that innovation originates from skilled individuals who get superiority in their work and so, with the innovation in mind, it focusses on employee needs above and beyond all other things. This company has the confidence to generate a workplace with a purpose to produce constructive outcomes. The best part of this agency is that it teaches its clients how to innovate using data in order to refine SEO Management and PPC Management techniques persistently. It offers managed services, training, and consultancy for local, national and international campaigns. Founded by Deepak Shukla, Pearl Lemon is a worldwide remote team connected by cloud technology and considered to be a proficient platform for all things that come in SEO. With more than 20 years of SEO experience, Pearl Lemon has acquired a track record of getting the best results from the clients. In 2018, this company got awards to be the Most Innovative SEO Agency and among Top 20 SEO Agencies. Pearl Lemon acts as an extension of clients’ in-house team, providing full transparency on the achieved results and uses such methods which bring clear reporting and personalized client management. The main focus of Pearl Lemon is to provide clients with the best return on their investment. To deliver against this target, the company aims to establish lifelong and rewarding relationships with the clients. If you’re searching for an SEO partner that can support you, don’t waste a moment and get in touch with Pearl Lemon. SEO success initiates with a discussion and the Pearl lemon team is at a step away from you. Phedratech Online Solutions is another eminent UK based SEO company with branches in Pakistan and UAE. There is no denying the fact that SEO is really important for search engine rankings. But it’s not just about the search engines, but the better off user experience as well. Phedratech, with highly skilled professionals, strives to improve the ranking of your website in search engines and boost your business by targeting the right audience. Customized solutions are available in accordance with your needs and budget so there’s nothing to worry about. With a team of 35+ professionals, Phedratech is a platform for all of your SEO needs. HQ is situated in Cardiff, initiated by Thomas Buckland in 2012. The sole goal of the company is to increase profits through smart result focussing digital marketing, technical search engine optimization & content marketing services. HQ SEO Ltd is an organic marketing organization committed in technical SEO, link building and content marketing. HQ ranks websites in Google, generating more leads and sales for businesses all over the globe. Since the day of its formation till to date, it has helped over 100 clients rank their sites in Google and earn through cleverer organic digital marketing. High Impact is a specialist SEO agency founded by Julian Saunders. It works for the UK and international clients from both e-commerce and B2B backgrounds, making it certain that the business of the clients makes more of an impact online. From its base in Bournemouth, England, the team builds SEO and content marketing strategies that take clients’ business to the next level, whatever that boosting may be. This company better knows that SEO success cannot be determined by a one-size-fits-all approach, which is why its research-led strategies are built around the clients and their customers. 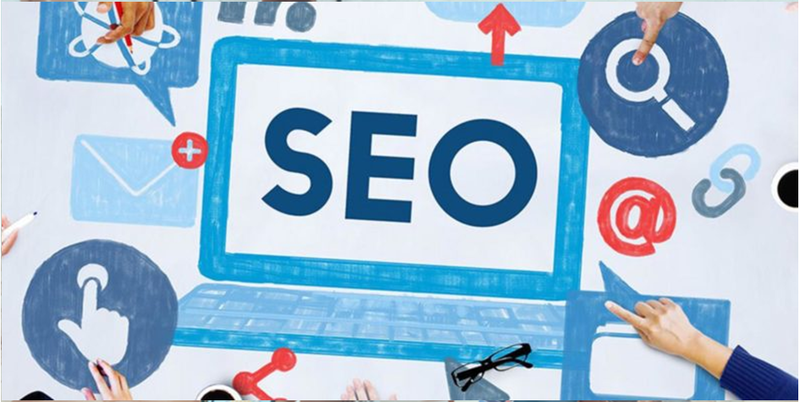 Whether someone is taking tentative first steps into SEO and need to start with technical and competitor audits that will form benchmarks or someone is looking to regenerate his site after a penalty problem, it assists all in all. The technical analysts of High Impact work together with creative content planners and outreach professionals, concentrating on putting clients’ brand in front of new eyes and placing the site in positions that drive more and more traffic and sales. Through insight and in-depth research, the team of High Impact finds the best mix of SEO methods client’s website, which means its link building strategies have always been ethical and keep focusing on building links and brand. This SEO agency focuses on promoting websites to page one by means of tested SEO techniques. iConquer develops websites so they can be Google friendly and optimized to get triumph over their online industry. iConquer being one of the best SEO Companies, it assists all the clients to stand tall in front of their competitors. iConquer has been offering SEO services in the UK and even globally since a long period of time. It is one of the best SEO Company in the UK that has all of the features that a vigilant SEO agency should possess. It has a team of committed experts who aid clients’ business grow by crafting higher ROI, higher conversions and higher sales. By choosing iConquer, one is certain to draw more and more traffic to the website and get a higher ranking. The SEO Works is a professional SEO agency with an experience of more than 10 years in providing Award-Winning SEO Services and Campaigns to clients from an assorted range of industries. The company is expert in business-to-business digital marketing. The shift to digital is already trendy in business as 63% of officials’ first course of action when they hunt for products or services is to search online. SEO Works creates digital campaigns which particularly target clients’ audience, driving leads and sales to get the business flourished. In Professional Services, SEO Works possesses a variety of clients in diverse areas from Financial Services and Recruitment to Legal Services and Law Firms. From starting new automotive brands in the UK to assisting local mechanic franchises to get found online, SEO Works has helped many automotive businesses grasp their target audience with eccentric outcomes. The key objective of Custard is to deliver such search marketing campaigns which actually make a difference. It believes to have unique strategies for its clients. To add difference and uniqueness in the work, the team of Custard use industry-leading techniques, passionate specialization and natural inquisitiveness for the world of search. In order to get a transparent and tailored approach, Custard never makes obscure project templates. The company completely understands the worth of money for the clients, therefore, focuses on results, denies vanity and operates with integrity, sweating the small stuff. To stay ethical, honest, and friendly at all the times, the company applies its values consistently in all works. With over 10 years of experience, Custard SEO knows how to tailor strategies which utilize the best digital marketing and media channels to support the clients’ business. The company provides a range of services and helps businesses upsurge their revenue and attain a good return on the marketing spend.